Like to eat snails, worms, spiders, fruit, berries, grain and seeds. The bill changes colour - yellow in the Spring and black in the Autumn. 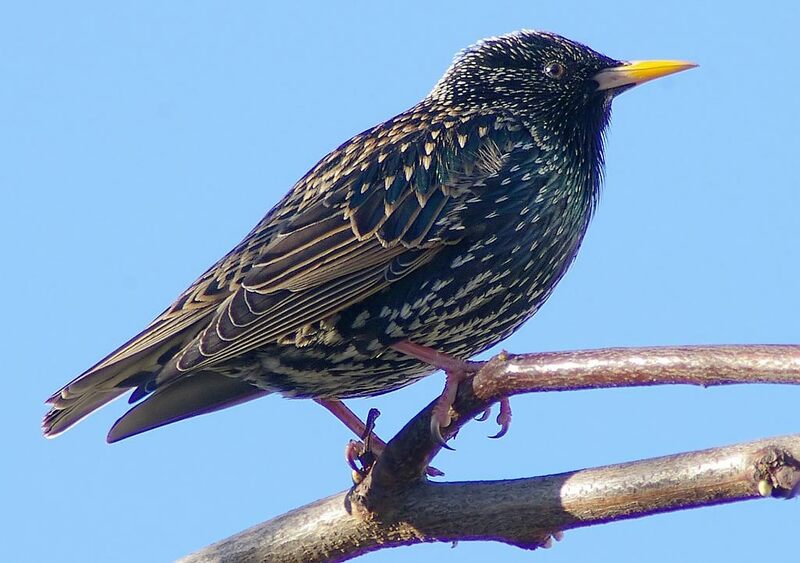 Can mimic human speech as well as other birds. There can be as many as 100,000 birds in a flock. 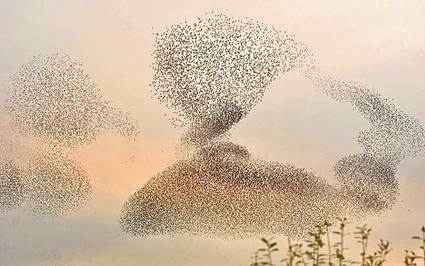 A 'murmuration' of starlings originally referred to the sound of their wings rippling through the flock.